A thermal transfer label is the most common type of barcode label. It is created by heating a ribbon when it comes into contact with a label backing to create large and very detailed images. Its real advantage is the range of labels that can be created through different combinations of backings and ribbons. However, the wrong pairings can result in labels that smear, fade or don’t have an image at all. Rather than waste time and expensive supplies looking for the mix of products that works for your business, ask the barcode experts at Tri-State Business Systems. Our staff has been helping clients find the right barcode supplies for over 20 years and can help you produce the labels you need for any application. No matter how many or what kind of labels you need, you can count on Tri-State Business Systems to have the right thermal transfer label supplies on hand in our 50,000 square-foot warehouse. 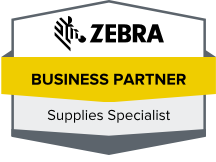 For example, if you need a Zebra thermal ribbon along with a Datamax label, we can make it easy to get them all in one place. 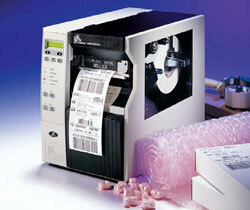 For more information our selection of barcode supplies, contact Tri-State Business Systems today. We are proud to serve customers in Jersey City, Pittsburgh, New York City and throughout the region.